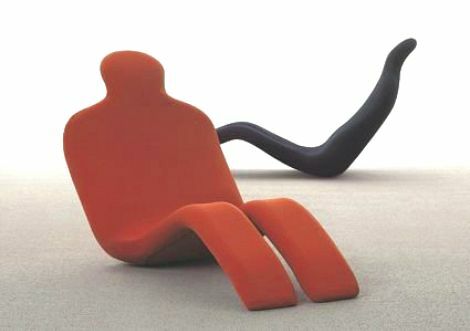 this playful foam and steel framed chaise by celebrated french furniture designer olivier mourgue gives new meaning to the concept of spooning. it’s named bouloum, after a childhood friend. they must have been very close. in the permanent collection at moma, and $950 at hive.